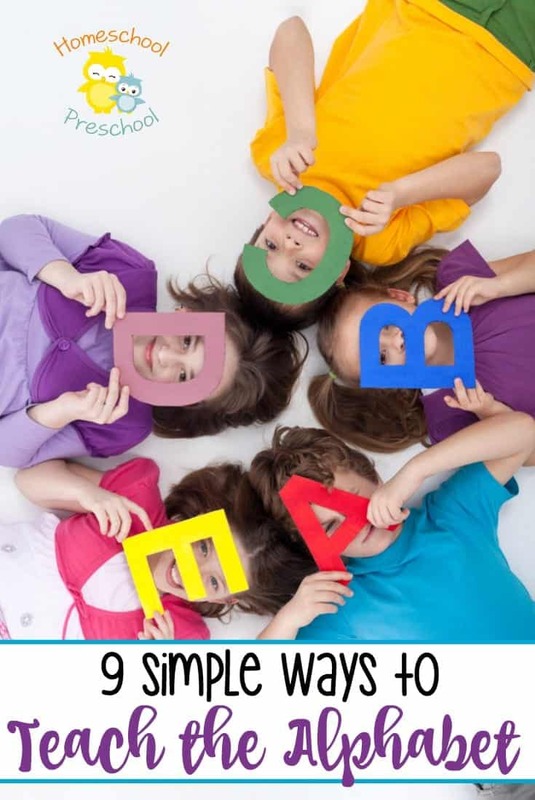 Are you teaching beginning sounds? 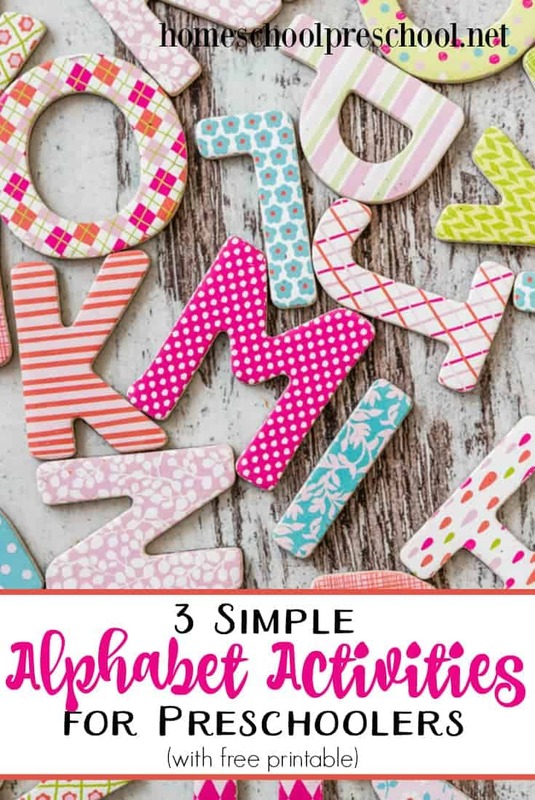 These printable alphabet clip cards are great teaching tools for early learners. I’ve shared a few clip cards here on the blog, and I’m excited to share this new set with you. Your preschoolers will look at the featured image on each card. Say the name of the picture aloud, and have your preschooler identify the correct beginning sound. Using clothespins on this activity will help your preschooler strengthen their fine motor skills. Squeezing the clothespins open in order to clip each card helps build the muscles in their fingers which will then help them have better pencil grip when they begin writing. 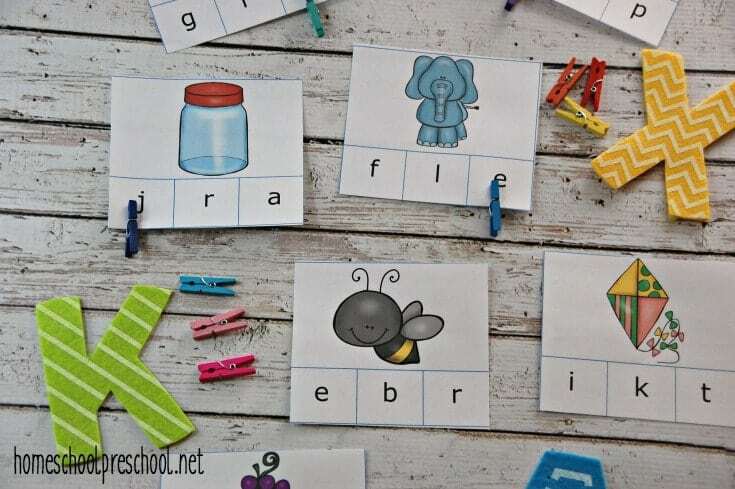 If you want to make this activity self-correcting, place a small sticker on the back of the card where the correct letter is. 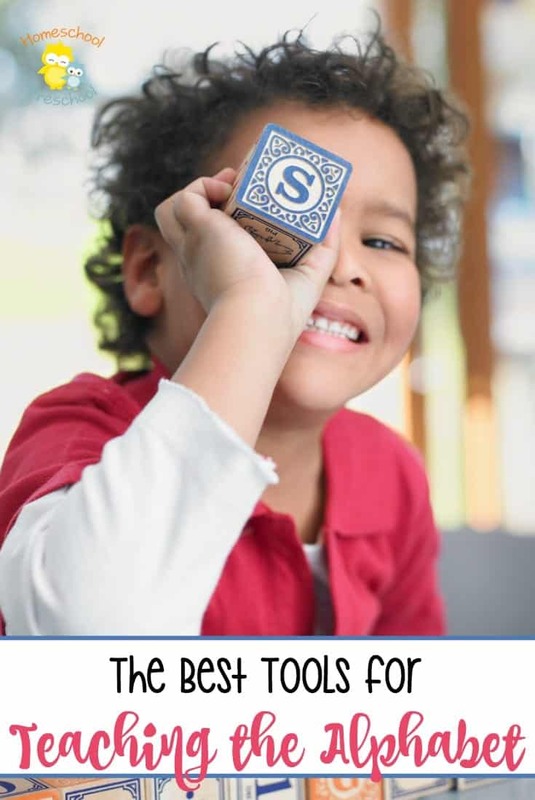 Once your preschooler has clipped the card, they can flip it over and check their work. 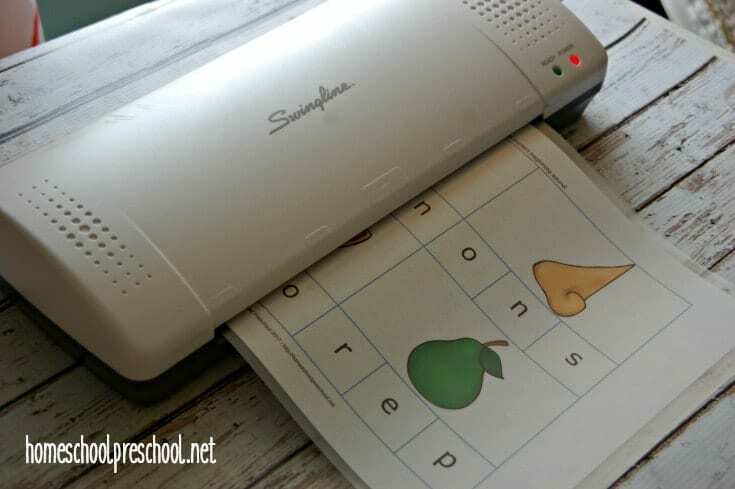 I suggest printing the alphabet clip cards on cardstock and then laminating them for durability. If you don’t have clothespins on hand, you can use paperclips. You could also lay the cards flat and use a penny or button as a marker. This will make self-correcting more difficult, but it will certainly work in a pinch. 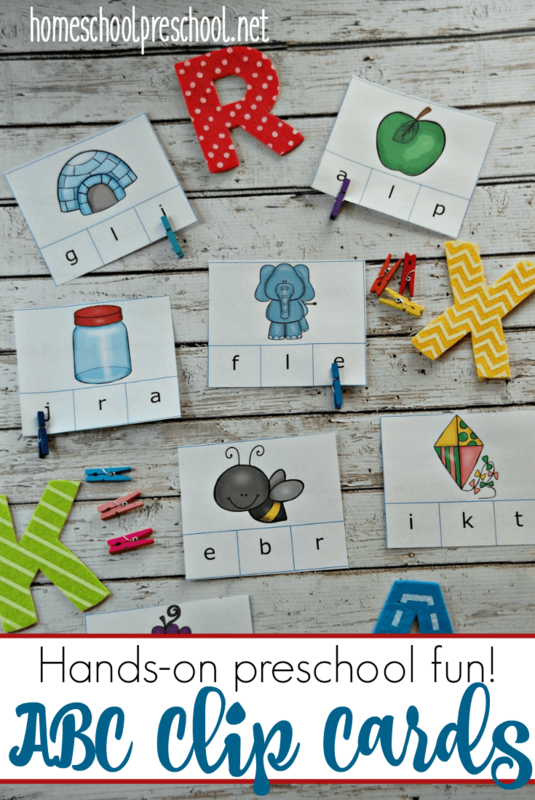 Once your preschooler has the hang of it, you can add these cards to a busy bag for quiet work. Busy bags work great at the doctor’s office, in the car, and when you need to work with a sibling. 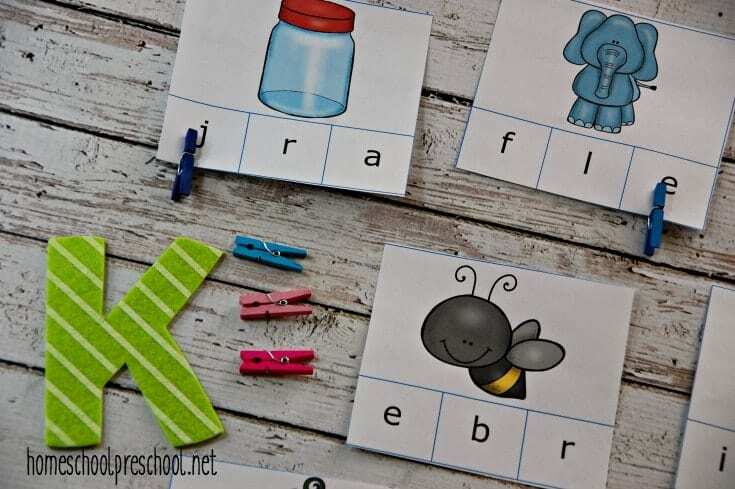 These alphabet clip cards are only available to Homeschool Preschool subscribers. To get yours, click the link below and enter your email address. Then, follow the directions to access yours.